Conflictos Modernos » Archivo del blog » Genesis and practice of the Russian strategy of deep incursion. 2nd Part. Genesis and practice of the Russian strategy of deep incursion. 2nd Part. The Deep Incursion to Tatsinskaya. In the exploitation of the break success, Vatutin threw on December 18, the 24 Corps of Tanks (Badanov) to attack and occupy Tatsinskaya and the 25 Corps of Tanks (Pavlov), against Morozovskaya‘s airport. Behind them, advanced the 1st. Mechanized Corps of the Guard, following their moving directions, to support and stimulate it and to eliminate the resistances of the enemy units remains in his deep rear. Badanov had 5 thousand men, 300 trucks, 90 tanks T-34 and 55 light tanks T-70. These, for his characteristics of fire, armour, mobility and with 2 crew members for the multiple tasks, were not suitable companions of the first ones. The infantry brigade of the Corps had the task of the occupation the aims captured by the tanks. 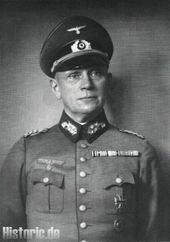 Lieutenant General Nikolai Vatutin, chief of the Southwest Front. The orders were not right and both Corps should go on eliminating the enemy resistances in his advance sectors, distracting from his main goal. 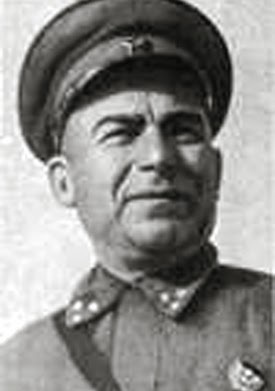 Badanov also received orders to facilitate the advance of the I Guard Army, on which he was depending and that followed him at distance, increasing the exploitation. The radio communications with Vatutin and the I Guard Army were insufficient and spasmodic, due to the increasing distance and the characteristics of his only transmitter RSB-F. That, for example, had in march 30 Km of range. From the second day of march, the support to both mobile groups by the 17º Soviet Air Army was diminishing drastically. In a winter hard environment, with a poor road network, the armoured vehicles and the trucks of troops and supplies were advancing slow and dificultly. This did that the ground support planes of both rivals could attack, without risk, the enemy vehicles and was favoring the Germans. Both Corps of Tanks were advancing towards his aims with great effort from the drivers and deployed in brigades, forming 2 or 3 echelons of march. Seeking to save fuel and to keep controlled the almost 500 vehicles of a Corps. Only there was daylight between 7 and 15:30 hours. Though on the paper, Vatutin was waiting for an advance of 50 km per day and calculated 5 days of march to reach both aims, placed at 240-250 Km, the results were of scarcely 25 Km per day. Against 24 Corps faced 4 small Kampfgruppen, which eroded it. The Gruppe Spang designated with the name of his command, faced in a difficult fight the 25 Corps of Tanks. Pavlov thought that it was a German small resistance and, forgetting his strategic aim and instead of flanking it cleanly, he attacked it. The Gruppe received the air support of a dozen of the dive bombers JU-87, that were returning quickly to his base to refuel, and that teared to pieces Pavlov’s unarmed tanks. The arrival of 1er. Mechanized Corps of the Guard allowed Pavlov to get out of the combat and to continue his march to Morozovskaya, though his Corps was exhausted in his combat capacity and with its fuel spoiled. Pavlov came up to Uryupin, at 25 Km from Morozovskaya. But, the bombers placed in this airport submitted it to hard attacks, that reduced his combat capacity to 25 tanks with scantiest fuel. The Mechanized Corps, after a day of combat with the Gruppe Spang, was also very reduced and was not in conditions to support it. With which, were eliminated the possibilities of an assault to Morozovskaya. 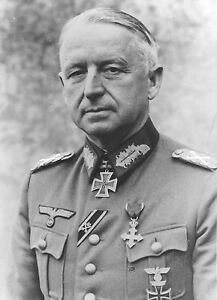 Karl Spang, as German general. One of the great disadvantages of these operations of deep incursion was also the absence of the logistic support to the operational units. This required them to advance, attack and occupy up to the exhaustion of his available resources. But, they did not have another option. The commaner of the airport was the lieutenant general Fiebig, commander of the VIII Air Corps of the Luftwaffe. On November, 30 he was nominated Chief of the Air Supply to Stalingrado. And he established his H.Q. in Tatsinskaya, which was occupied by the Germans on July, 21. Fiebig was a good organizer, so his appointment was justified, but he did not rise to the occasion, as tactical commander, neither in the defense, nor in the evacuation of the airport before the Soviet assault. 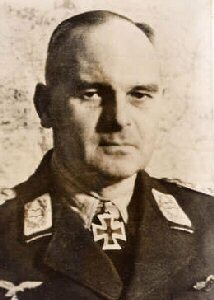 From the safety of Berlin and already failing the ground rescue, Goering ordered Fiebig that his men should resist in Tatsinskaya. And only will evacuate it when the Soviets already were firing in his runway. This did that Fiebig was late beyond the prudence in giving the evacuation order. And only the fogs, the enemy weariness, and the exiguous Soviet forces, 20 tanks and 55 infantrymen, who assaulted Tatsinskaya, allowed to evacuate the majority of the parked planes. The base force were 1800 men, without counted the crews and mechanics of the planes. They had, at the moment of the assault, 2 88 mm cannons and 4 cannons of rapid shot of 20 mm, since great part of the artillery was tranfered to the Kampgruppen entrusted to block the Soviet advances. The Germans did not organize any defense in Tatsinskaya. When the explorers of 24 Corps approached the airport in the night of 23, observed that the anti-aircraft positions were not occupied and that did not exist ground defenses. Finally, at 8:30 of December 24, tanks of the 130 Brigade of tanks (Nestorov) assaulted Tatsinskaya’s airport from the east and some tanks of 54 Brigade of Tanks (in reserve) penetrated by the northwest at the end of the operation. Until that evening, Badanov did not give for finished Tatsinskaya’s and his surroundings capture. Near 125 planes of the Luftwaffe escaped and came to other airports of the Axis. The Soviet mediocre gun fire and the impacts between planes at the takeoff destroyed 50 planes. But, the Lufwaffe already had lost 250 airplanes between November and December, 1942 during Stalingrado’s air supply, due to breakdowns, the weather and the enemy action. The Germans had 100 fallen, between dead and wounded, and 350 men were captured. 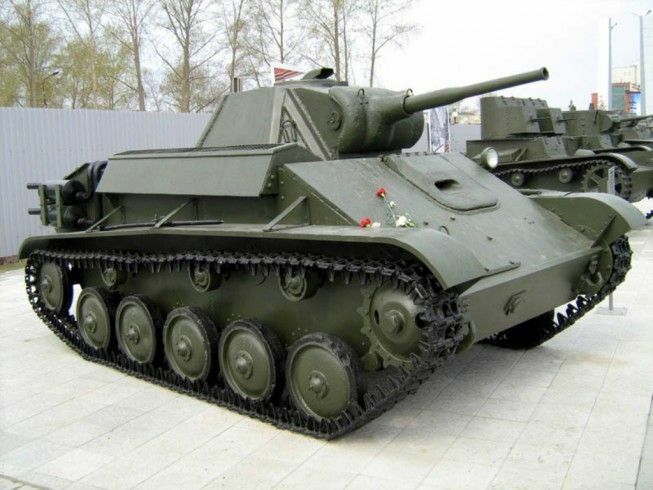 The 24 Corps still had 39 T-34 and 19 T-70. And each tank had less than 40 rounds for the principal weapon and its remaining fuel allowed it to cover 50 km. Badanov transmitted to Vatutin that he was assuming the defense of his positions. Similar to what happened with the VI Army of the Wehrmatch, at 7:30 of the 26th, Badanov received a Vatutin’s message: “His Corps has been transformed into a unit of the Guard. You has granted Suvorov’s Order of 2º degree”. But, the happiness never lasts very much in house of the poor man. The situation was indefensible and, four days later, Badanov broke, slipping, the functional, not physical siege. To which he was submitted by the different German units that were coming on the 24 Corps of Tanks of the Guard. 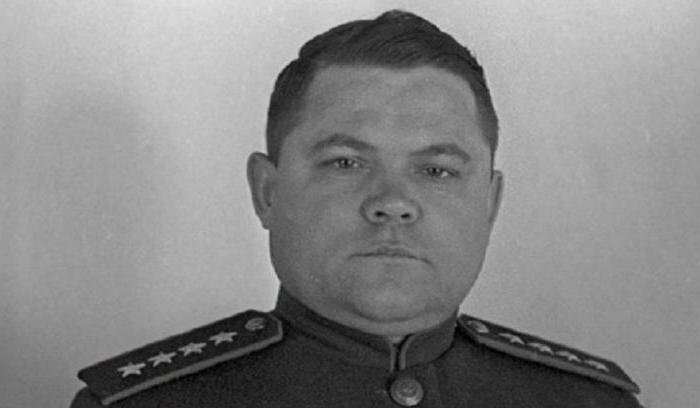 At the end of the operation Small Saturn and by indication of Stalin, Badanov was nominated commander of the remains of the three Corps Mechanized and of Tanks that took part in this deep incursion. But, possessing each one less than 20 tanks, they were too weak to carry out a joint operational action. Puede saltar al final y dejar una respuesta. No está permitido hacer ping actualmente.